Ekosport is an online retailer specializing in ski equipment, clothing, and accessories for all the family. Launched in France in 2007, Ekosport is already the domestic market leader and is continuously expanding into other countries. To meet the huge seasonal demand between November and February, Ekosport required a scalable e-commerce solution that allowed quick and cost-efficient expansion of its winter product range. Ekosport opted for Intershop. In just 12 weeks, French integration partner DataSolution rolled out the new store to 13 countries, including France, Germany, Italy, Russia, Spain, and the UK. Ekosport operates online shops powered by the Intershop e-commerce solution in 13 countries. Ekosport has been selling ski equipment online since 2007. The new Intershop-based store platform was implemented by French integration partner DataSolution in just 12 weeks. Scalable: Ekosport needed an e-commerce solution that could scale quickly and cost-effectively with a growing product range, especially during the ski season. Flexible: the platform should also be able to expand into new markets with specialized touchpoints, e.g., focusing on cross-country skiing or ski mountaineering. International: another key requirement was easy localization of the product catalog, language, and payment methods for each country. Intershop 7 is a powerful all-in-one package featuring product information management (PIM), web content management (WCM), order management system (OMS), and personalized customer communication. Content managers can create new websites from a central back office using common components and templates. Currencies are managed using payment modules, such as Ogone, Atos, Yandex (Russia), and PayPal. 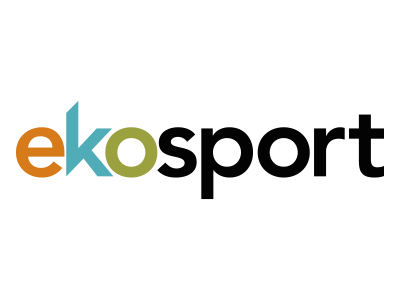 Intershop’s promotion engine enables Ekosport to manage and test all promotions and campaigns centrally. Call-center staff can take orders, advise customers, and manage orders via the e-commerce platform. Order status and stock levels can be viewed in real time thanks to seamless integration with Ekosport’s back office, ERP, inventory, and supply chain systems. With the Intershop interface for Neteven—a sales management solution for marketplaces, such as Amazon and eBay—Ekosport has full control of its product range and can cater perfectly to every channel.